As 2014 comes to an end, it’s clear that this year marked a peculiar revival in the music industry– good old fashioned vinyl records. The Wall Street Journal called vinyl “the biggest music comeback of 2014.” And now that the numbers are in, that’s hard to refute. 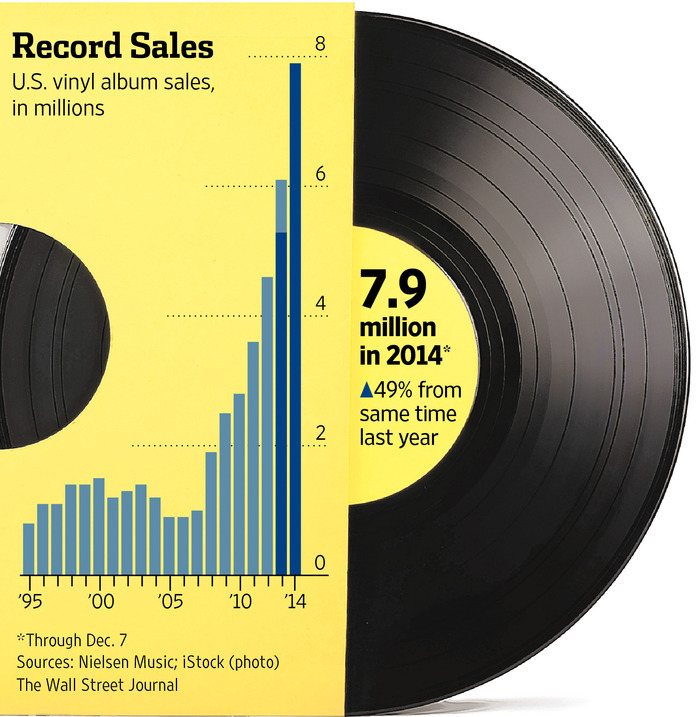 About 8 million records were sold this year, up 49 percent from the same time last year. And the crowds who are flocking to record stores to pick up new records on the 12-inch discs might not be who you’d expect– they’re mostly young fans of independent music. Many are intent on carrying on this audio tradition for the culture’s various allures. One of the most cited reasons is that vinyl simply sounds better than MP3 music. 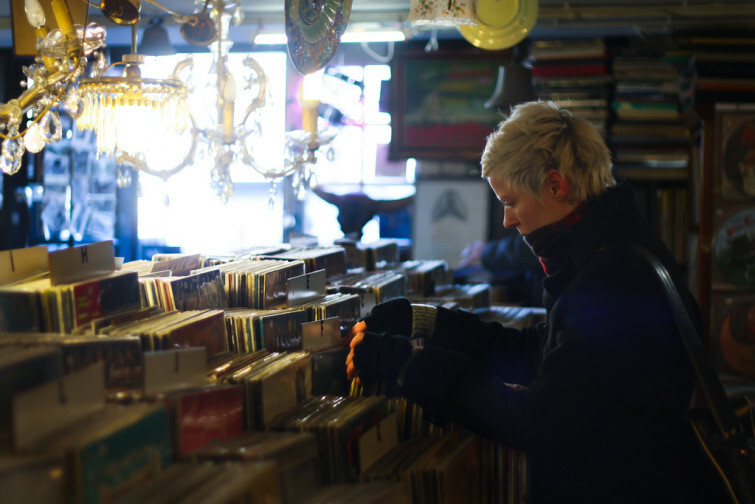 But the many rituals that make up vinyl culture may play just as important a role– flipping through dusty stacks at a local record store and discussing recommendations from the store owner or other shop patrons. Then there’s the hypnotism of watching the discs rotate and dropping the needle. The rise of vinyl records has had a major impact on major pressing plants. According to The Wall Street Journal, many producers, including the largest, United Record Pressing in Nashville, Tenn., are adding presses, but there has yet to be a big move by entrepreneurs to inject capital and confidence into this largely artisanal industry. Read more about the industry here. The best-selling record this year was Jack White’s Lazaretto. The vinyl LP sold 40,000 copies its first week, which sets the record for the most vinyl sales in one week for an album since SoundScan began tracking sales in 1991. Nonetheless, CD sales (30 percent of total sales of the album the first week) accounted for more sales than vinyl (28.9 percent). Digital downloads still accounted for most (40 percent) of album sales the first week. Other major vinyl hits this year include: “AM” by Arctic Monkeys, “Turn Blue” by The Black Keys, “Born to Die” by Lana Del Rey and “Morning Phase” by Beck. Statistics from The Wall Street Journal. Featured image by Claudia Christina Yvonne Miquel.